← Now Why Did Charles Spurgeon Have to Go and Prophesy? Continuationists believe God still speaks today, not only through the word of God in Scripture, but even through specific words or what we might term ‘revelations’. These revelations can come in various manners – prophecy, words of knowledge, words of wisdom, visions, dreams, etc. – but God is still communicating and speaking today. He actually never desired anything less. 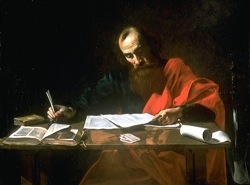 However, what can get easily leveled against continuationists, from the more cessationist camp, is the idea that such revelation would no longer be needed knowing we now have the completed revelation of God in Jesus Christ, which is, of course, summarized in the full canon of Scripture that now includes the New Testament. This revelation is the final word and no other such revelation is needed. And I understand the concern, especially noting such doctrines coming out of the Reformation such as the sufficiency of Scripture. However, I think there is a very balanced approach that allows for Scripture to maintain its very needed place as the God-breathed and authoritative written revelation of God while maintaining that God still speaks, reveals and communicates today. Here is what I believe we need to recognize. I most definitely believe there is no more needed revelation from God with respect to his redemptive purposes in Christ. No more! The work of Christ and the revelation concerning this work – summed up in his life, ministry, death and resurrection – are the final word on God’s redemptive revelation and purposes. And I believe the New Testament makes this quite clear. Yet, I do believe that it is not outside the parameter of God to continue to communicate in what I might term as a non-redemptive measure. This is where continuationists part from cessationists. Again, I think it would be quite detrimental to say there is still more for God to reveal concerning the redemption of humanity through Christ and the gospel of the kingdom. Christ remains the final word on such. But, to believe God is still continuing to reveal today, giving non-redemptive revelation, should not be seen as harmful to a faith that looks to be grounded in Christ, the gospel and the testimony of the canon of Scripture. Matter of fact, I would argue that to not allow for God to still directly speak and reveal today, in all his various manners, this would cut us off from something very dear to the heart of God. 1) Even while the canon of Scripture was being formed, God was always speaking para-Scripture, meaning he was speaking alongside what would be included in the canon of Scripture. A couple examples would be found in places such as 1 Sam 10:10-13 and 1 Tim 1:18-19. In the first instance, we find Saul, empowered by the Spirit, prophesying amongst a group of prophets. In the second example, we read of Paul reminding Timothy of the prophetic words that were made about him and that ‘by recalling them you may fight the battle well, holding on to faith and a good conscience’. In both situations, we find Spirit-inspired prophecy. But in neither case do we find those prophetic, and revelatory, words recorded in Scripture. The events are mentioned, but not the specific words. Even more, in the case of Timothy, these words enabled him to stay the course. They must have been some pretty edifying and strengthening words! Of course they were, since we find this to be a major purpose of prophecy (see 1 Cor 14:3). Remember, the Scripture does not record every word and act of God. That’s an easy one to recognize (remember John 21:25?). But knowing that God was always speaking, acting, revealing himself, even alongside the writing of what became Scripture, this encourages us that he would not only do so para-canonical but even post-canonical. 2) Not every revelation in Scripture would fall under the greater category of redemptive revelation. We can see plenty of these examples within the Gospels and Acts. For example, Jesus’ interaction with the Samaritan woman at the well (John 4). Here is the Living Word, and so we recognize the redemptive purposes of God being outworked through Christ, even in this particular occasion. But what is interesting to note is one specific vehicle of revelation that Jesus utilized in John 4, mainly the word of knowledge about the women’s love life. Now, the details are no doubt extremely important in the interaction between Jesus and the Samaritan woman – she is a Samaritan, a woman, the words about living water, the shift towards worship of our Father in spirit and truth rather than at a centralized building, and every other detail. I believe John recorded exactly what was pertinent to record about this encounter in helping us better understand his main thrust about Jesus Christ (i.e. John 20:30-31). But that specific word of knowledge (about her love life) was but one detail alongside the ultimate redemptive revelation as found in Jesus Christ, even in that situation. Jesus could have revealed a dream that she had the previous night. He could have laid forth another bit of knowledge about her life. It was a revelatory vehicle accompanying the message of Christ. Yet, if these words had not been spoken, if they had not even been recorded (like with the example of Timothy above), or if some other revelation had been spoken forth in the place of this particular word of knowledge, it would not have brought any change to God’s redemptive revelation in Christ. And, so, to claim that God speaks today, reveals today, that prophecy still comes forth today, this does not hoist any threat upon God’s redemptive revelation summed up in his Messiah, Jesus, as testified to in the canon of Scripture. Remember, that revelation is finished in Christ. Even more, this is where the biblical canon, the very useful measuring stick for our faith, becomes important. We have such a great tool in helping asses present-day revelations, prophecies, visions, etc. Of course, there are plenty of other examples of this kind of revelation from God in places like the book of Acts. Peter’s word of knowledge in Acts 5 of Ananias and Sapphira’s lying. Peter’s word of wisdom in Acts 6 of the need to appoint a team to look after the tables, rather than seeing the apostles pulled into such. Agabus’ prophecy at the end of Acts 11 that there would be a severe famine. Of course, for the cessationist, many of these, if not all, were given as “sign gifts,” ultimately attesting to the message of the apostles. They were unique in connection to the apostles and their associates. Therefore, since there are no more apostles today, we no longer need such attesting signs. The Scripture now takes that place. They were not only done by apostles. Note this helpful list of Christians utilized in these gifts: the 120 at Pentecost in Acts 2:4; Stephen in Acts 6:8; Philip in Acts 8:4-7; Ananias in Acts 9:17-18; Cornelius & household in Acts 10:46; Agabus in Acts 11:27-28 & 21:10-11; the Ephesians disciples in Acts 19:6; Philip’s daughters in Acts 21:8-9; the Galatian believers in Gal 3:5; the Corinthians believers in 1 Cor 12-14; the Thessalonian believers in 1 Thess 5:23; the elders in Ephesus in 1 Tim 4:14. Quite the list! These gifts were not only used as “signs,” but also in the role of edification and strengthening. This comes out very strongly in 1 Cor 12-14. Scripture actually does not teach us that Scripture will one day take the place of “sign gifts”. To argue such, from places like 1 Cor 13:8-12, is a misunderstanding of the context. I share more here. But all of these instances in my points 1 and 2 just above note actual revelations given by God. And while some of the details of these instances found their way into Scripture, some of the details are left unknown. The content of the Corinthian prophecies, the Thessalonian prophecies, the prophecies of Philip’s daughters, etc, was not recorded in Scripture. In all, this is why I believe it is worth distinguishing between a) redemptive and b) non-redemptive revelation. Of course, even non-redemptive revelation comes from our great redemptive God. But the redemptive revelation in Christ is finalized. We need not add anything. Yet, I would add we are to believe our God still reveals today. So let us be encouraged that our God speaks today (as it is true to his nature) and that we are called, as the body together, to seek him, to listen to him (through Scripture and the present-day work of the Spirit), and to even seek prophecy (1 Cor 14:1). And thankfully, as we stay connected to Scripture, the church historic and the church present, we will have such great tools available to us in helping us stay the track, being faithful to the revelation of God in Jesus Christ. This entry was tagged cessationism, charismatic, continuationism, gifts of the Spirit, Holy Spirit, pneumatology, prophecy, revelation, spiritual gifts. Bookmark the permalink. II believe cessationism comes primarily from fear of “muddying” the gospel message. Because to believe in continuing revelation means you have to discern the source of revelation. Because that is deemed too difficult for us mortal men, it is safer to simply deny the possibility of further revelation of ANY type. It is also a control issue. True freedom of the Spirit is not a controlled, centralized, organized event. It doesn’t happen just IN CHURCH, where elders and teachers are present to evaluate and approve of what is revealed. It’s “dangerous” BECAUSE it is free. We much prefer to create and live under rules and control structures. It makes us feel safe to know exactly what is OK, and what is to be avoided. And the unbridled Spirit must therefore be placed in check. I agree in many ways. Though it’s not PC to bring this up, I do believe that, whether many people want to admit it or not, there is a sense where control (or lack thereof) can determine our approach to this. It is much easier if these things don’t exist. And that’s the thing – watching all the whacky stuff, it makes people feel very uncomfortable. The easiest thing is to not allow for it. And I know people that communicate that they believe these gifts still exist, however they don’t allow them in the larger gathering, maybe because it’s hard to administrate spontaneous prophecies and revelations in the midst of 1000 people or it could turn off the non-believers/seekers. But if we do it appropriately, I don’t think we need worry about this. Having said that, I know your position shared much on my blog, but I’m not sure I would fully agree with this statement: True freedom of the Spirit is not a controlled, centralized, organized event. I think there is a very unhelpful position when we swing the pendulum to say that the Spirit’s freedom cannot come in organized and centralized ways. What I mean is that, though prophecy might have a spontaneous flavor to it, you can still plan in sharing these things. Not always, but you can. It’s like people who argue it’s not very freeing and trusting to make a monthly budget for your finances. But it can actually be quite helpful in learning discipline. So I think there is a balance. We don’t have to be so stringent, but just approaching things with a whatever-happens-is-ok approach might not be the most helpful. I hope that makes sense. “Nein” to all the major biblical-theological points of any continuing revelation! If so, let all just go to Rome, and the Papacy and the Chair of Peter! Note, many High Church Anglicans have gone to Rome now, with the offer of the Catholic “Anglicanorum Coetibus”…. An Anglican Patrimony as Roman Catholics! Would that be SO bad? If ANY Pope ever showed the true Spirit of Christ it’s Francis. He’s “revealing” (more like reminding) the Catholic church of it’s true purpose, and that isn’t to be the moral standard (which they have failed at miserably anyway) and judge for the world. But to LOVE. For love draws to Christ. Anyway, when was that last time a Pope revealed anything extra-gospel? Would people actually listen if he did? I believe the Pope and I have the same likelihood of receiving a word from the Lord. For we are ALL prophets now. It’s just which weak vessel He chooses to use at the moment. Sorry Ken, but your just a feel good guy, and don’t have a clue it appears to the history of the papacy! “Francis” is actually a Jesuit social liberal, and uses Catholic traditionalism when it suits him, but then jumps down their throat when they don’t reply to his social gospel ideas. Now, Benedict-Ratzinger, there was classic Catholic shepherd & pope, no doubt the greatest theological mind to sit in ‘The Chair of Peter’ in my life-time! I have been reading Ratzinger since the 80’s! (Even when I was an Anglican, in those days, as now). Yes, your probably right, Robert. I’m blissfully ignorant and happy to feel good. I take people and things at face value (that sometimes gets me into trouble) and look for and dwell on the positive things I see in life. Thanks for your interaction. I’ll try and provide some thoughts to some of your comments and concerns. For example say you have a word from God telling you to buy a particular house. How does one judge whether indeed you have heard from the Lord, or it is just wishful thinking or even deception? The thing is the same could be said concerning God’s general guidance in providence. If you’re in prayer trying to simply discern the will of the Lord, how does one “know” it’s the will of the Lord? And, though I didn’t state this in my article, it’s not simply about finding a verse or two to prove/discern something as God’s will. We keep Scripture at the forefront, but God has given us a whole gamut of tools – the church historic (though this might not play out in regards to what house we buy), the church current, leadership in our lives, general wisdom, etc. This is why I prefer the caveat prima scriptura to clarify that Scripture is never the only source of determining the will of God, though it remains at the forefront. Rather I prefer something more like the Wesleyan quadrilateral of Scripture, tradition, reason and experience. I think we’d expect that Scripture doesn’t unequivocally speak to every detailed instance in an individual’s life. It wasn’t set up that way – it’s much more communal and collective. However, at the same time, I believe God can use Scripture in situations outside its original intent. I can give plenty examples and I think this is true because our 21st century lives weren’t directly noted in Scripture. But it still very much is there to speak into our lives. As one theologian said: Scripture was not written to us, but it was written for us. So I believe your concern here misses the reality of walking out our faith, whether one believes only in providential guidance or in both providential guidance & that God still speaks today. I know we’d rather it be so empirically easy to discover these things. But I suppose that’s the beauty of the journey. I don’t always tell my son what he must do. Also, according to Grudem’s definition of prophecy, it is something mixed with human error in the reception, though its source is God. How then do we sort out what is from God and what is not from God in a prophecy?…… In the OT prophecy was 100% accurate– the test was it either came to pass or it did not– has the nature of prophecy in this better age of the Spirit now been downgraded to hit or miss, partly right/partly wrong? Well, I think at times the wording of Grudem is not so helpful. But even more, I believe we have an epidemic in the western church/world, that being our commitment to a modernist, post-Enlightenment approach to knowledge and truth. This is more of an epistemological issue than theological, though they intertwine, no doubt. Thankfully I do believe a better balance is coming and will come, something reformed theologian, Jamie Smith, notes in his book Who’s Afraid of Postmodernism?. But, again, this is another topic and a very large one for discussion. In the end, most evangelicals believe that truth is something we empirically and propositionally establish. We determine truth by the scientific observation – prove it, show it, concrete, nothing else. This comes out in the first statements in your comment that I interacted with above. It seems to point to this approach: How do we really [empirically] prove everything? If we can’t objectively and absolutely prove things, then we can’t trust it, we can’t know its true. Now, don’t get me wrong, I do believe in a certainty of faith. I am very firm in belief in Christ, his resurrection, the gospel, the truth given and as intended in Scripture, the gifts of the Spirit, and many other things. But there is One and One alone that is truly absolute and objective. It doesn’t mean we cannot reasonably establish truth (though, again, it comes through something more holistic like the Wesleyan quadrilateral than some empirical approach to Scripture). But we don’t function in that realm. I know this might sound quite crazy to many Christian evangelicals. And, again, I’m not advocating some far out, antirealist epistemological position. But our obsession with empirically figuring everything out, not allowing for any ebb and flow mystery in our journey together in Christ, I think it will rob us of much good in God. Let’s stand on a firm foundation of faith. But for frail, finite and fallen human beings to try and establish some kind of immovable, empirical foundation, it will actually crumble when we realize we non-God humans cannot do this. Is it perfect? No, just like our engagement with Scripture, hermeneutics and exegesis. However, again, we can reasonably engage with Scripture in the historic & current community of faith, all the while noting we, as finite & fallen human beings, lack the ability to be perfectly empirical, objective and absolute. This is why we highlight we walk a faith journey. Actually, the issue wasn’t always whether it came true or didn’t come true. There were many prophecies that did not come to pass – meaning, they were given as warnings of what would happen, contingent upon the people’s response (both Israel and the nations). Not to mention that we’ve got to deal with the scholarship of prophecy ex eventu, which basically attributes prophecy given “after the event.” Many have a problem with this perspective, but I’m ok with people speaking prophetically about what has already happened in the past, giving a God-perspective of why certain things have happened, rather than predicting the future. Lastly, people fail to remember that prophecy is not ultimately about predicting the future with the question, “Will this happen or not?” It was always about this: “What is God saying within our context?” Itt was not just foretelling, but forthtelling. Until we recognize this last characteristic, as well as others, then we will keep arguing the same points over and over that don’t hold much water. In the end, before it’s quoting a few verses here and there and discussing what they mean, we’ve got to also discuss the bigger issues of epistemology and the nature of prophecy. I have a sense we still have a lot we miss on both of these levels. Btw, the best understanding of the so-called Quadrilateral, must be seen in the Lambeth , or Chicago-Lambeth Quadrilateral, 1888, and the Four Articles there!, and this is of course Anglican! I won’t quote however, but leave that to those who will do their homework!